The kitsch and the adorable. 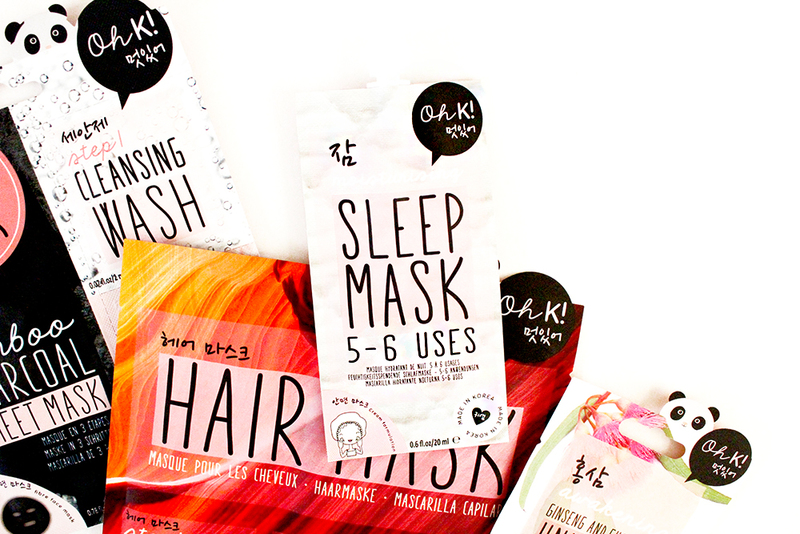 It’s hard to resist the effectiveness that’s synonymous with Korean skincare products. 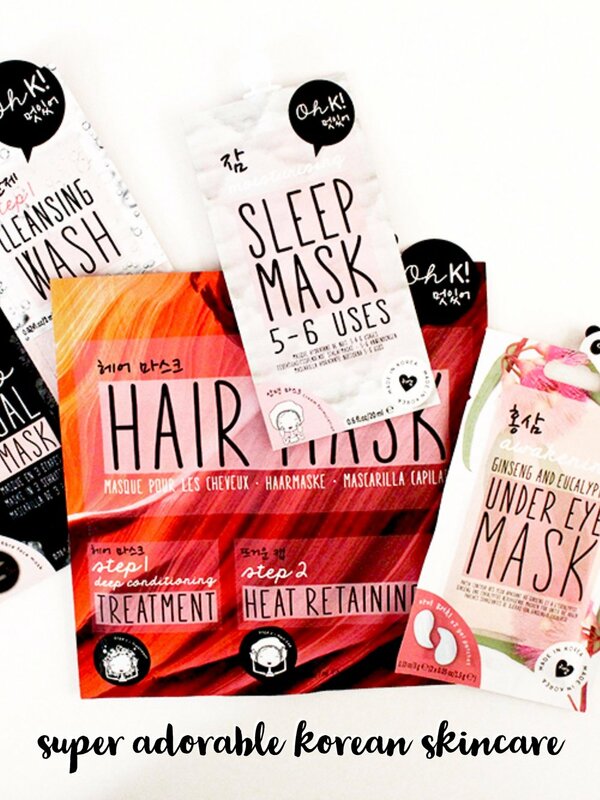 However, with the added cuteness factor, beauty and lifestyle brand Oh K! have ticked every box. A moment of curiosity (and a discount code) had me acquiring some of their ASOS exclusives. Oh K! is a brand inspired by the creator’s travels through South Korea. It’s that mix of using quality ingredients and innovation with whimsical, playful vibes that draw you in. Currently, I believe these are exclusive to ASOS and are coming soon on their own website. I was surprised to be greeted by an array of hydrogel masks as opposed to cotton ones. Although they tend to be more expensive, I find them so much more effective and comfortable on the skin. A black sesame gel mask and the snail mucin and seaweed ones have me intrigued. Naturally, I was drawn to the step mask offering which starts with a face wash, bamboo charcoal sheet mask and completes with a moisturising serum. The face wash was this shimmering looking creamy cleanser that lathered and dried out my skin. It was a full on squeaky clean feeling. However, the sheet mask sorted me out. It was such a good fit. I left it on for 30 minutes and peeled it off to nourished and bright looking skin. To top it off, the moisturising serum was ace and lasted me three uses. Very thin like an essence and so refreshing. 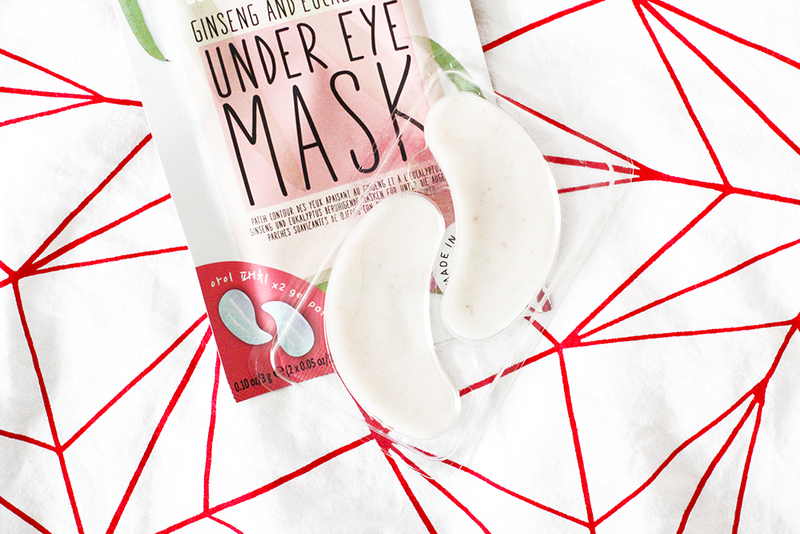 I do love the Under Eye Mask. They are a lightweight hydrogel that sits so comfortably under the eyes. It contains ginseng and eucalyptus and I left it on for 45 minutes. I actually forgot I had it on (that’s how comfortable these were). I loved how hydrated and perked up my eyes looked afterwards. These are currently out of stock but were £7 a pair. Very pricey for one use but I would buy this again if available and save it for some inflight skincare. They still have these cooling eye pads though. Hair masks have never really been my thing. I’m a condition and go or hair oil on the ends type of gal. However, my hair has been so dry lately so after a session with the thinning scissors I decided to treat myself, at-home salon style. The treatment felt like a bubble bath foam. It was thick but really light. Like I was coating my hair with latte foam. I have quite thick hair of mid length and there was more than enough treatment to go around. You then put the cap on and massage your scalp. Leave the cap on for about 15 minutes and then wash out your hair. The cap was so useful, not just to retain heat, but it meant you could go have a shower in the meantime. I don’t think I’ve worn a shower cap since I was a kid. It was amusing to say the least. My hair felt silky soft afterwards and remained so for a further 3 days. By the fourth, it was pretty heavy.. In hindsight, I should have used half the treatment. I really got into the groove of overnight masks this year. Perhaps because I’ve experienced the driest my skin has ever been and it’s not pleasant. First of all, I freakin’ love this packaging. So travel-friendly and downright adorable. The formulation of the mask is very light and like a clear gel. I just smooth it onto the skin and pat in a little. It doesn’t feel heavy or make my skin look greasy. In fact, it just felt like a normal gel moisturiser. You’re supposed to use this after completing your usual skincare routine. It’s an additional step after your moisturiser. I tried it on its own the first time (because I thought it’d be too much for my skin) but it did nothing. Pairing it with your evening moisturiser just creates this lovely nourishing layer and I wake up with soft, bouncy skin.